Read more about the Arena Soccer World Cup here. The official tournament website is here. The Fury sits a game back of the leaders in the MASL Pacific Division. The club’s season schedule and more information is here. The 20-game season begins in November. The Fury will play 20 games – 10 home and 10 away — during the inaugural MASL season. The MASL was launched this summer out of a merger between the Professional Arena Soccer League – the Fury’s previous league — and Major Indoor Soccer League. 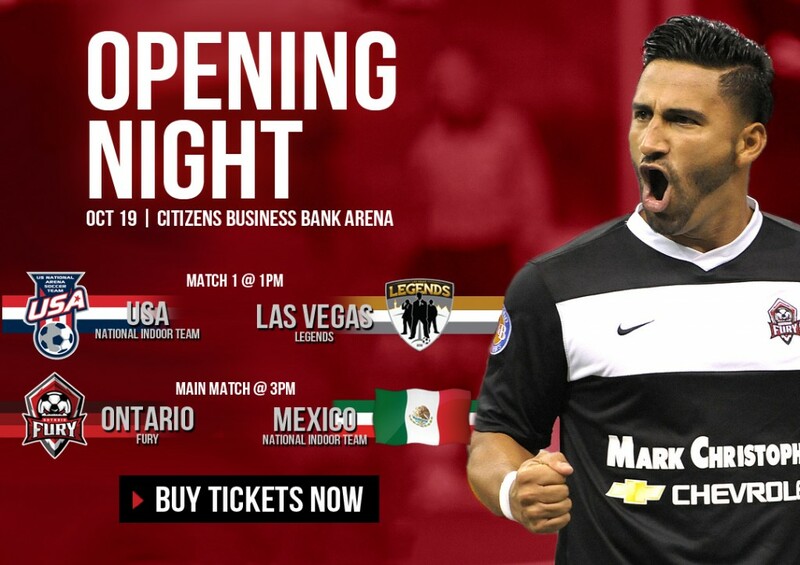 Ontario will play in the Pacific Division, along with the Las Vegas Legends, Sacramento Surge, San Diego Sockers, Seattle Impact and Turlock Express. 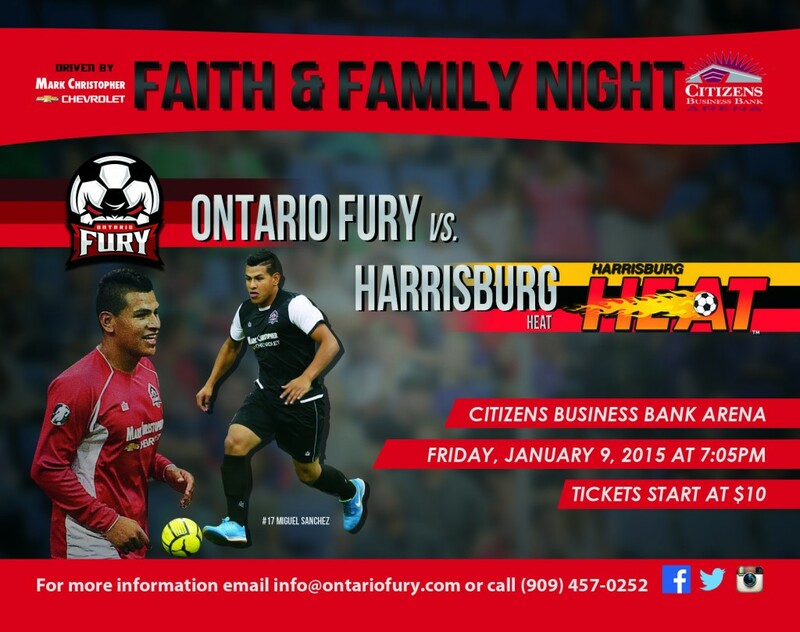 The Fury will play 16 division games this season, facing each team at least once at Citizens Business Bank Arena. As part of the schedule, the Fury have planned a series of theme nights and giveaways for the fans of the Inland Empire. Among the planned events are Military Appreciation Weekend (Nov. 7 and Nov. 9), Mascot Night (Dec. 7), Local Heroes Night (Jan. 7), Faith and Family Night (Jan. 9) and Teacher Appreciation Night (Jan. 18). 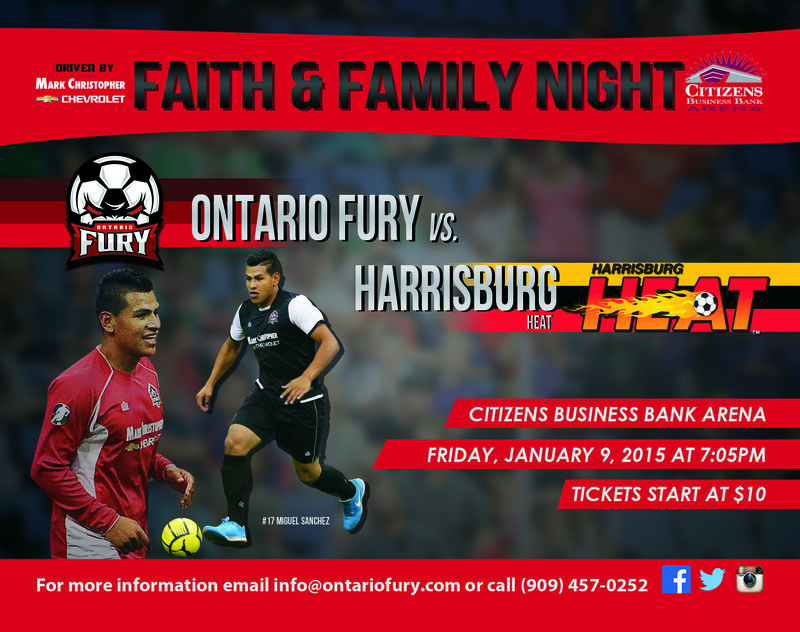 The Fury will wrap up its home schedule Feb. 15 against the San Diego Sockers. 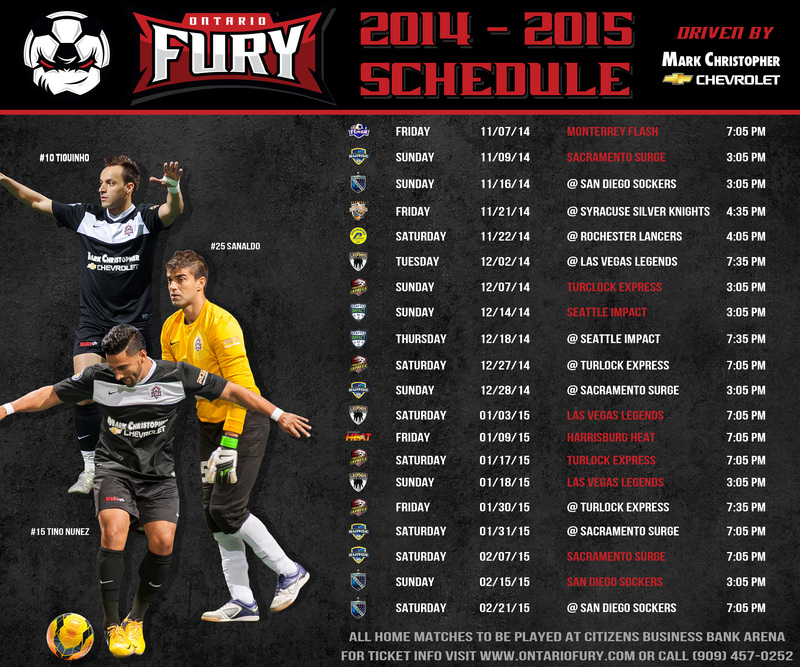 The Fury will close out the regular season at San Diego on Feb. 21. Of the Fury’s 10 regular season home games, there will be five Sunday games, three Saturday matches and two Friday night games. Games on Fridays and Saturdays will begin at 7 p.m., while Sunday games kick off at 3 p.m. Besides the Pacific Division rivals, the Fury will play four games outside of their division – two at home and two away. The Monterrey (Mexico) Flash of the Southern Division will visit for the regular season opener Nov. 7, while the Eastern Division’s Harrisburg (Penn.) Heat will visit Jan. 9. Ontario will travel to New York state for two games in late November, as they will take on a pair of former MISL clubs: the Syracuse Silver Knights (Nov. 21) and Rochester Lancers (Nov. 22). More details are at the club’s website. The Galaxy play their first preseason game at 6 p.m. Saturday at StubHub Center against reigning Armenian champions FC Shirak. Tickets start t $17, while parking is free. The game will be televised on Time Warner Cable Deportes. The indoor Ontario Fury wrap up their season Sunday against the Las Vegas Legends. If the EPL is your thing, note that fourth-place Liverpool hosts first-place Arsenal at 4:45 a.m. Saturday on the USA Network because the Winter Olympics is hogging the airtime over at NBCSN. Click here to find your EPL game this weekend. And click here for a comprehensive preview of all the weekend games.